A life-size statue of the inspiration for Robinson Crusoe could be too "creepy" for a churchyard, locals have said. The bronze of Alexander Selkirk, who inspired Daniel Defoe after being marooned on an island for four years, is to be installed in Bristol. 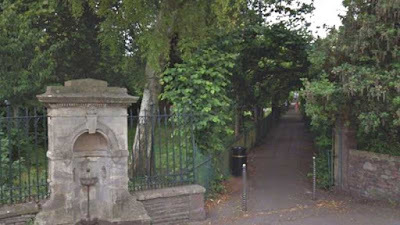 It was going to be put in Victoria Square before residents rejected it. Plans to put it in St Pauls have raised now raised objections despite the church supported its installation. 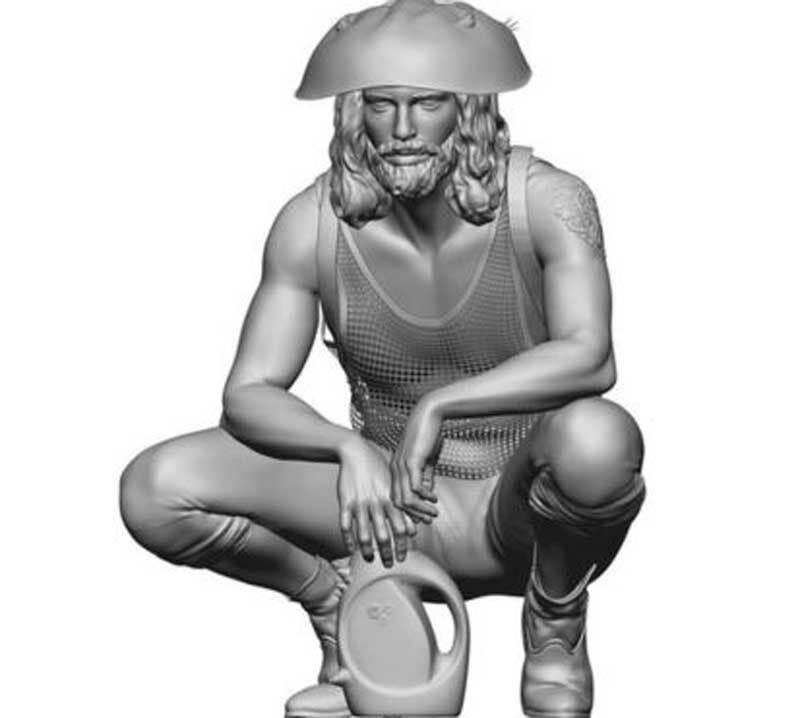 Costing around £70,000, the life-sized bronze of the 18th century mariner is to be created by New York-based artist Frank Benson. He said the piece, known as Castaway, was inspired by Selkirk who was rescued from a Pacific island in 1709. "One of the important parts of the piece is to draw attention to the history of Bristol and I think it's a very pleasing location for the sculpture." The public artwork was originally commissioned by Nuffield Health Care, as part of the planning deal for Chesterfield Hospital. But after being turned down for Victoria Square - the sculpture is now facing opposition at St Andrews where it is claimed the work is "intimidating" and "inappropriate". 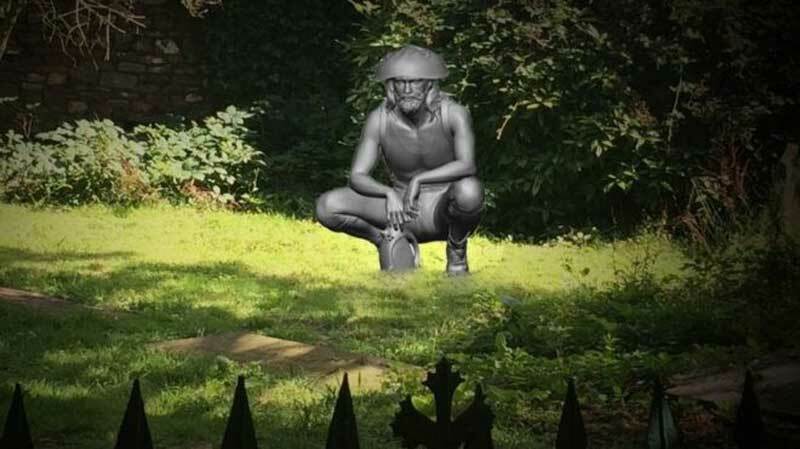 According to local residents, the life-like crouching statue could look out of place and "be a bit creepy" and "terrifying" at night in a graveyard. Despite 10 letters of objection to the diocese, Reverend Langham said the church was "supporting this installation". "These things are always going to divide people," he said. "The only thing is the sense of the menace it might imply but over time I'm hoping this will be a familiar figure." A public consultation is due to end on 19 August. Where did he get the bottle of laundry detergent? Heh heh, I knew it reminded me of something! That was exactly my thought. Laundry detergent. And He's wearing Rab.C.Nesbitt's string vest.